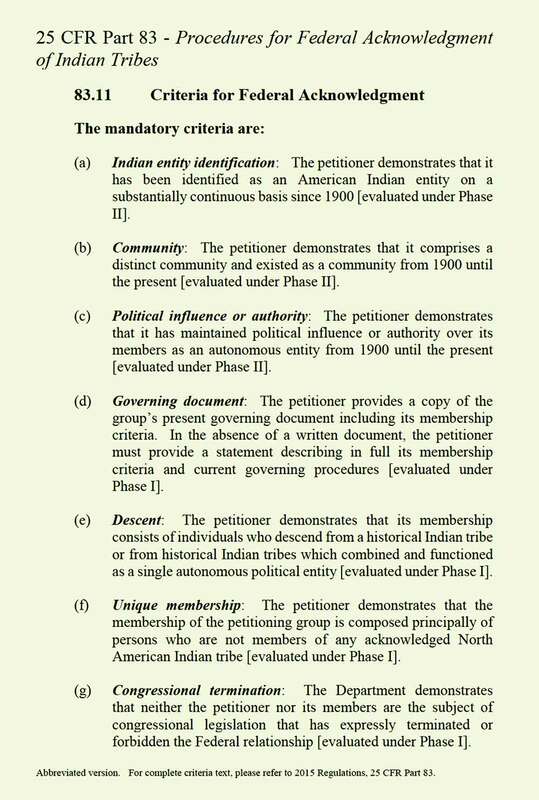 This is 1 page of the BIA criteria for gaining federal recognition. Membership Meeting Sunday March 24th 1:00pm potluck! Membership Meeting Sunday March 24th 1:00pm potluck! Come join us to cerebrate Sharon in remission from cancer. Sharon is also celebrating 15 years volunteering at the tribal office. I would love you to be here to celebrate with me. Cancelled Sun Feb 24, Membership Meeting 12 to 3:30. Due to bad weather again. Your tribal council. Reminder of this Sunday February 24, Membership Meeting from 12:00 – 3:00 Potluck. If we get all that snow on Saturday, Sundays meeting will be cancelled again.